We believe that good design is making spaces that make you want to come home to roost. Good design begins with understanding; understanding how we build, how we live, and how we affect the environment around us. As our modern culture has developed, we have become increasingly specialized which is why we focus on responsible designs. This means protecting land, using responsible materials, and designing carefully so we can inhabit more efficient and inspiring spaces. Visiting your land or space and getting to know your lifestyle allows me to design a functional and sustainable environment exactly as you had imagined. 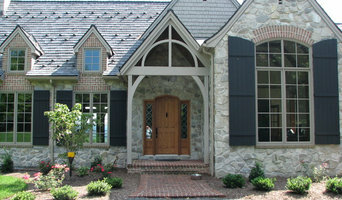 Experience has provided an understanding of local building codes, especially with historic homes. This knowledge lends to an efficient design approval process so your project can be completed in a timely manner. If you are ready to explore how you could start living differently and how spaces can enhance life and represent your values, let’s get started. -- Joshua Dourte founded Roost Architecture as a boutique architectural firm with an emphasis on residential design. Joshua Dourte received his Bachelor of Architecture from Drexel University in Philadelphia. Since 1999, he has worked on a variety of different projects ranging from pool houses to million square foot office developments. He felt drawn to start his own practice focused on sustainable residential design in 2007 which grew into Roost Architecture Inc.
With over 30 years in the industry, Diamond Design owner Mark Taylor has managed or taken part in hundreds of residential design and construction projects. 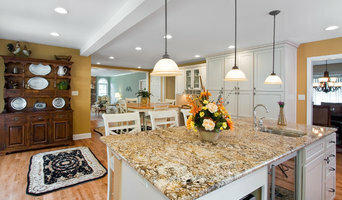 He has built over 150 new homes spanning many different styles and prices. 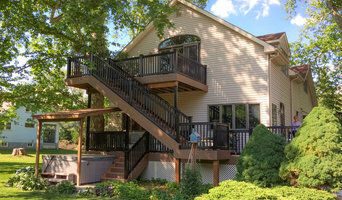 His remodeling projects range from adding a deck to extensive home renovations. Mark’s greatest joy comes from helping people, and his philosophy is simple: Quality projects require quality relationships between all involved parties. So from dream to concept to design to completion, Diamond Design will help you enjoy the entire process by shaping win-win scenarios on both sides of the table.